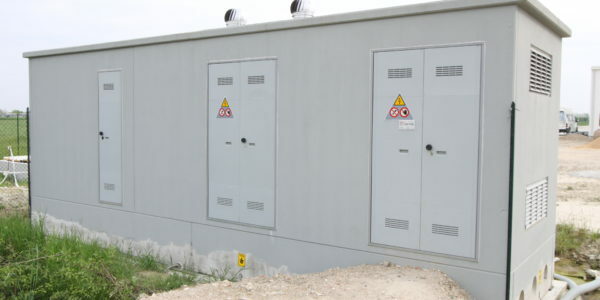 The type of substations with monobloc structure makes it possible to build and assemble the substation directly in the production plant. 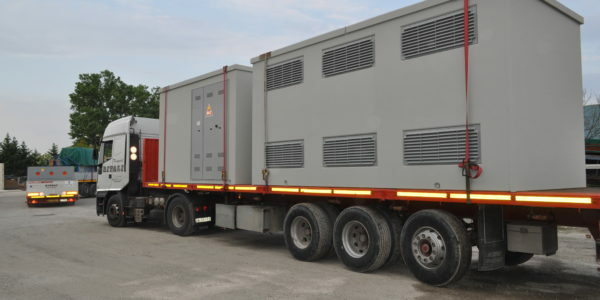 This reduces the laying operations and cuts down on labour time at the worksite. 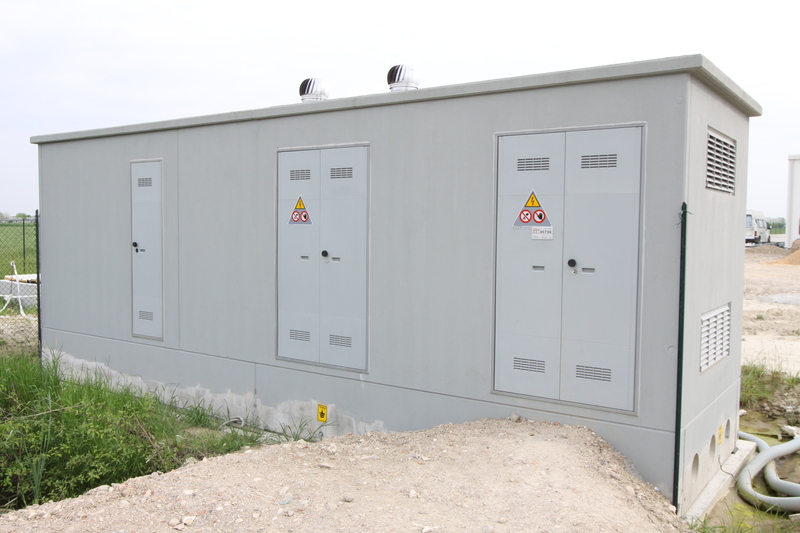 Monobloc substations can be shipped and delivered on site already ﬁtted with the relative electromechanical equipment, to guarantee faster supply times and ﬁxed costs. 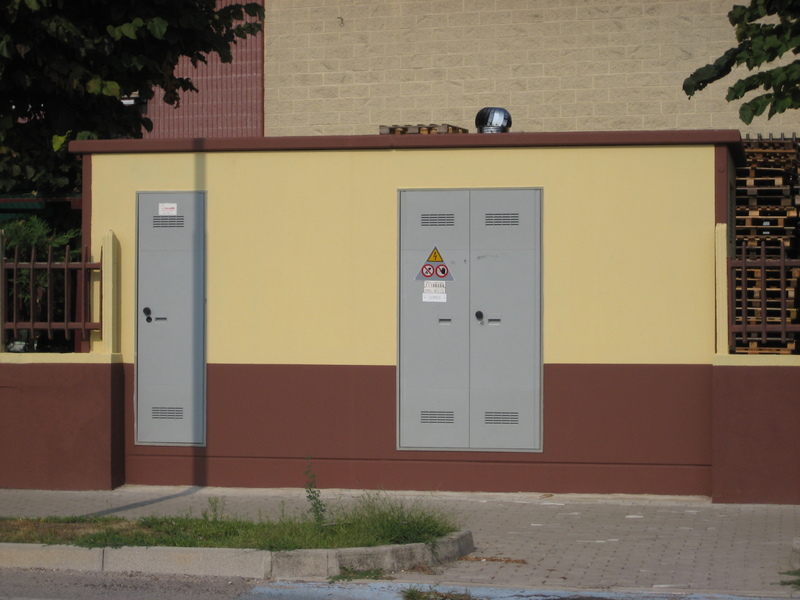 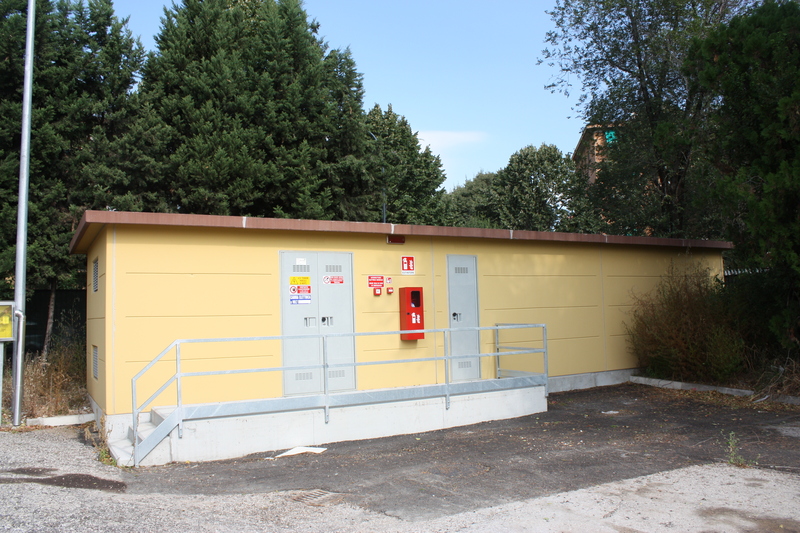 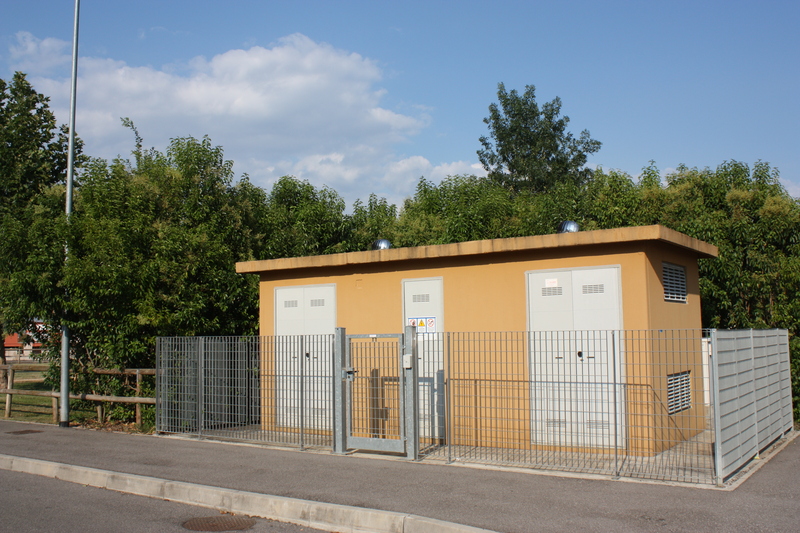 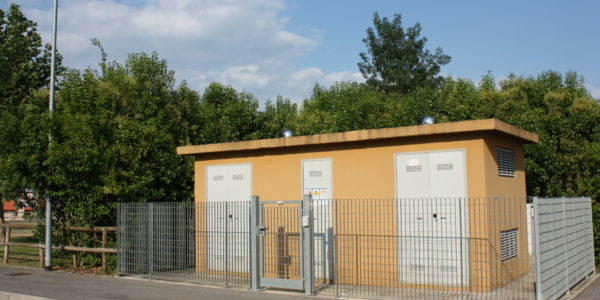 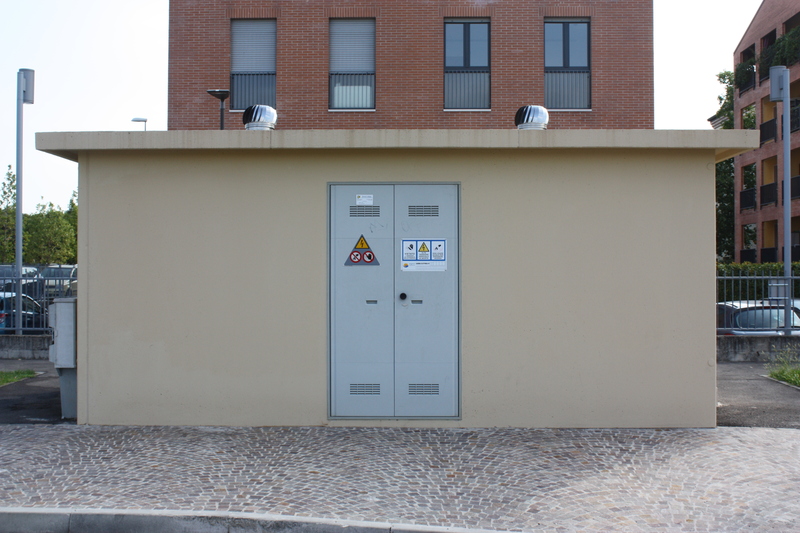 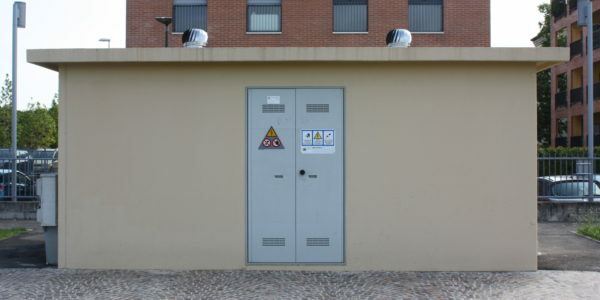 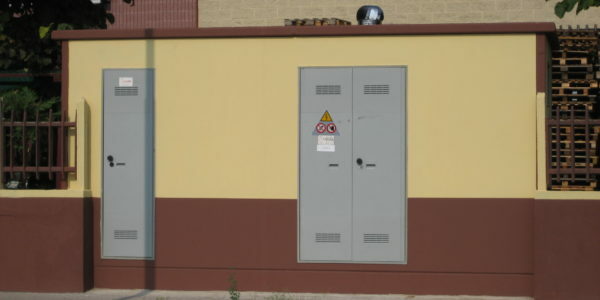 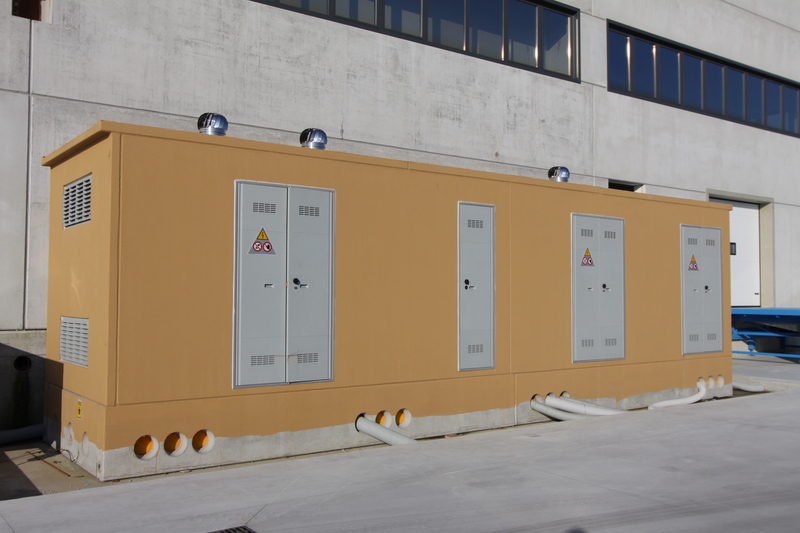 This type of substation is particularly suited where the installation areas are very limited in terms of surface. 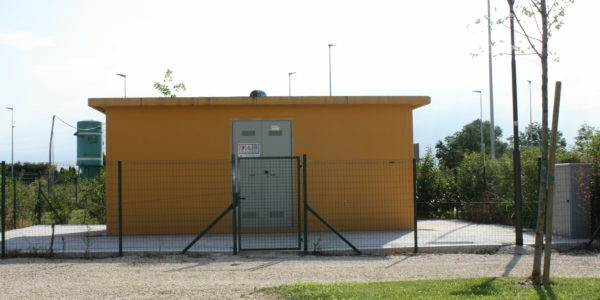 Monobloc substations are ideal for being installed one next to the other, so as to obtain a substation with no constraints in terms of length. 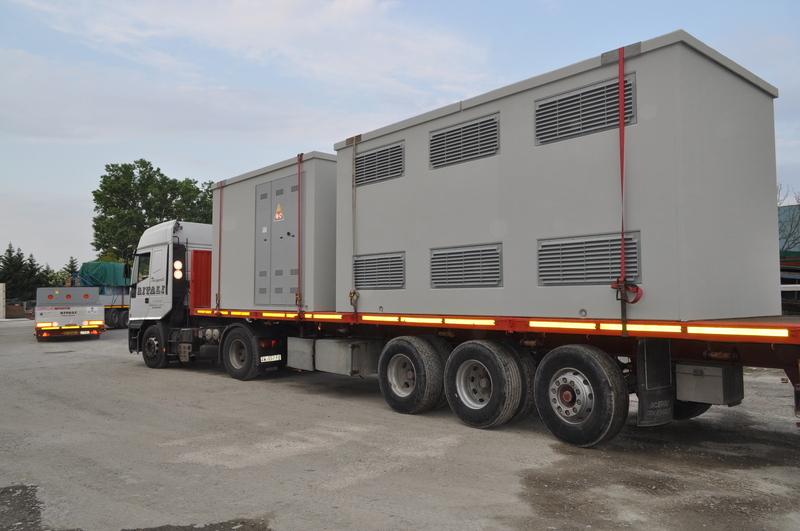 The external length does not exceed 2.5 m, so that it can be easily transported. 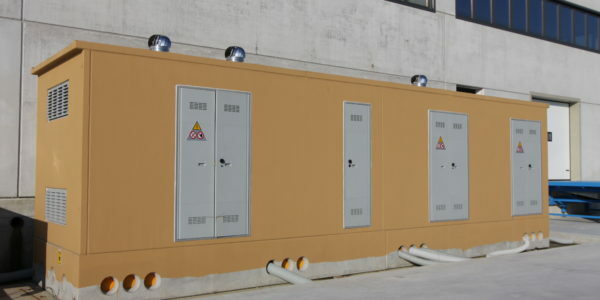 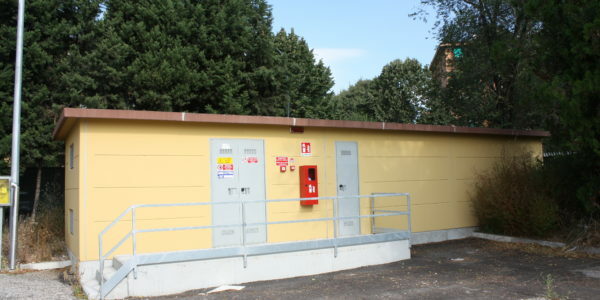 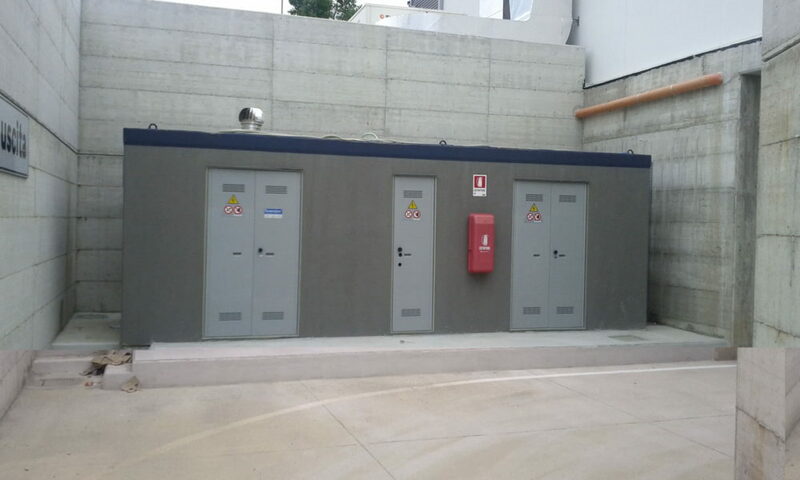 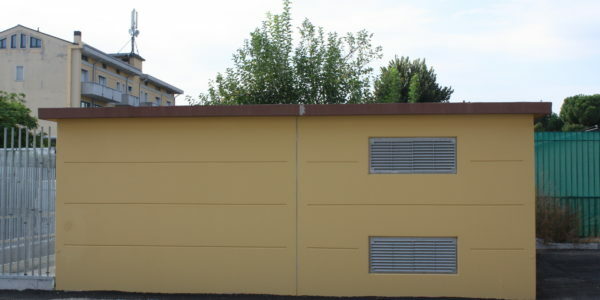 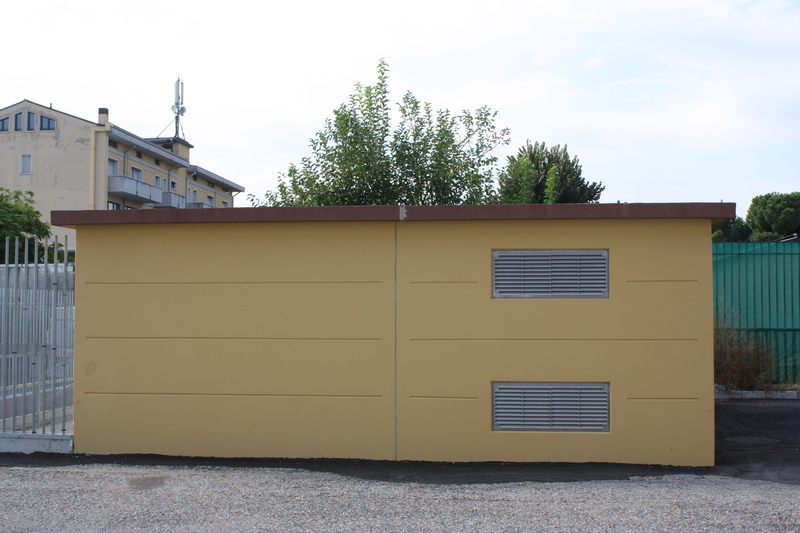 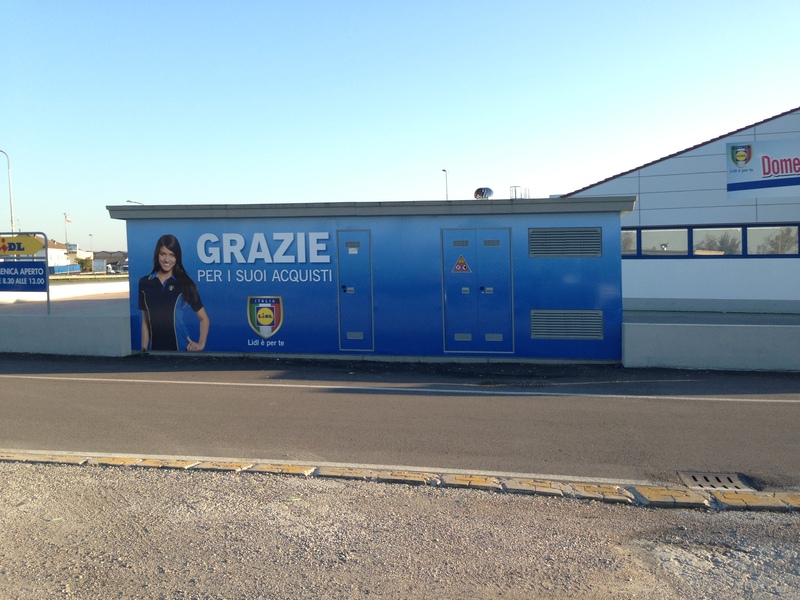 Monobloc stations are made up of two elements: the foundation tank preset with holes with pre-established fracture and with connections for the ground system, and the above-ground element consisting of walls, divisors, roof, ﬂoor and accessories such as doors, ventilation grilles and wind towers. 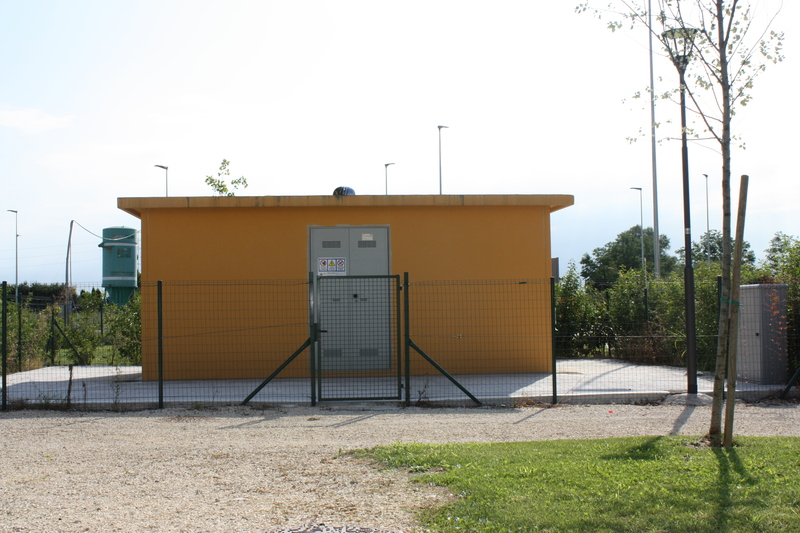 Before the substation is delivered, the excavation must be completed and a support plate must be prepared.